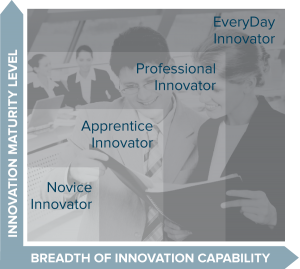 Innovation Pulse is based on extensive qualitative and quantitative research from a wide range of businesses across the globe to ascertain the core components to building a culture of innovation. The Pulse asks targeted strategic questions around your organisation’s ability to manage it’s Strategy, Leadership, Management, Culture and Process and aggregates your results into an innovation breakdown. Your breakdown will include areas to improve, minimum requirements and the opportunity to benchmark your organisation against other like-minded innovators.